SW4 organisers have announced the first wave of artists confirmed for 2018. 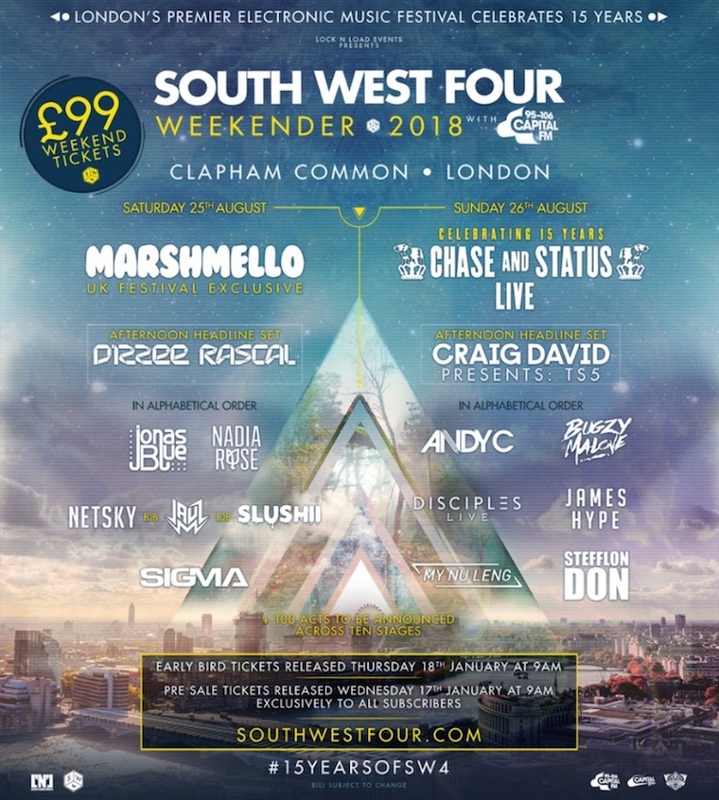 Now in its 15th year, SW4 will be headlined by Marshmello (a UK festival exclusive) on Saturday 25th August, whilst the following day will close with Chase and Status, who will be performing their only London show of the summer. Craig David’s TS5 will support C&S, whilst Dizzee Rascal becomes the afternoon headliner for the Saturday. Additional notable acts on the bill include Andy C, Disciples, Netsky, Sigma and My Nu Leng. **UPDATE: DJ EZ has also now self-confirmed for Sunday 26th August**. Earlybird pre-sale access tickets are onsale now direct from Ticketmaster – hit the link below for more info and check the full line-up underneath.